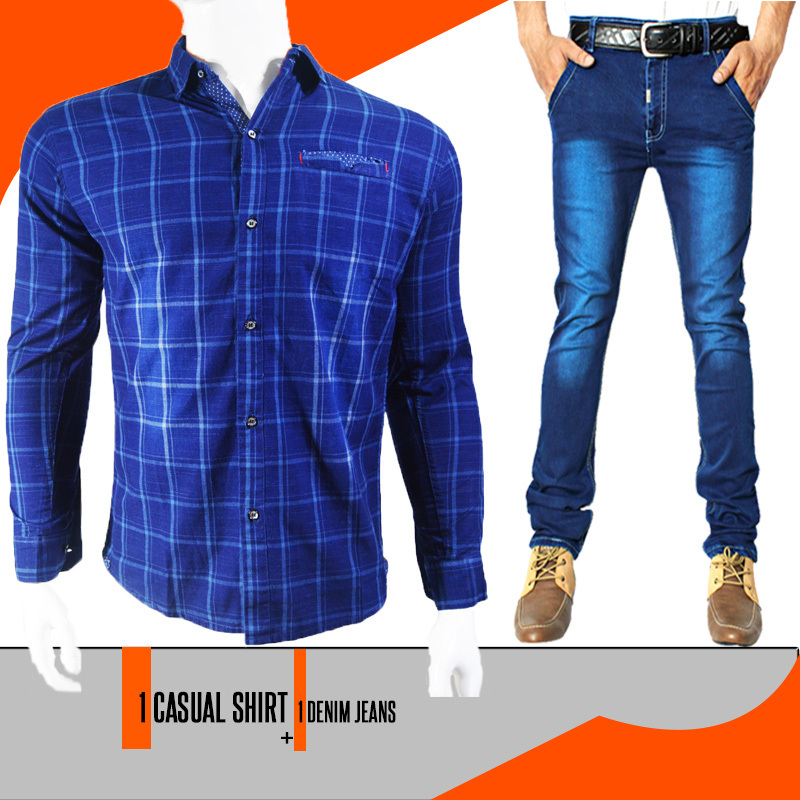 The price for 1 Denim Jeans + 1 Casual Shirt include VAT. The pictures for 1 Denim Jeans + 1 Casual Shirt are for information purposes. Depending on your monitor, colors may differ from the real color. The data submitted in the order form for 1 Denim Jeans + 1 Casual Shirt are strictly confidential.